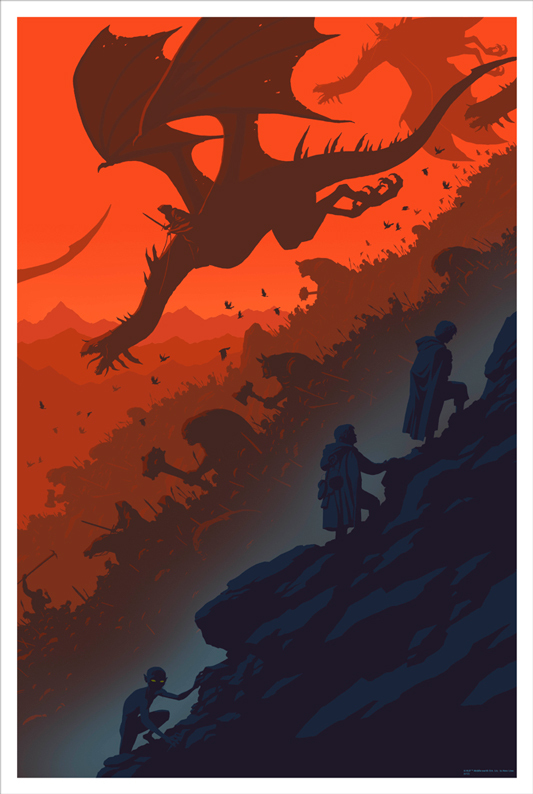 We have two great LORD OF THE RINGS posters being released tomorrow by two very talented guys. First up, we have “Precious Cargo” by one of my favorite comic book artists, Paolo Rivera. If you are into comics and haven’t seen Paolo’s work, PLEASE fix that immediately. He is one of the best guys working today and really impressed us with this poster especially as it is his first ever screenprinted offering. This poster is also 10 COLORS, so rest assured it will be awesome in person. 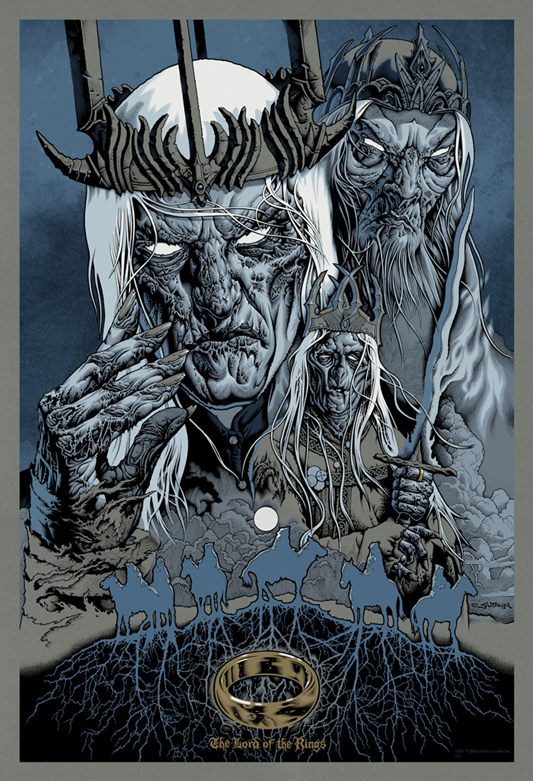 We also have “Servants of Sauron” by Mike Sutfin that features some of my favorite characters in the LOTR series…. The Nazgul aka Ringwraiths. Mike’s posters are always immaculately illustrated and this is no exception. You can take a look at all of the detail on our blog HERE. On sale Thursday, January 24th at a random time HERE. 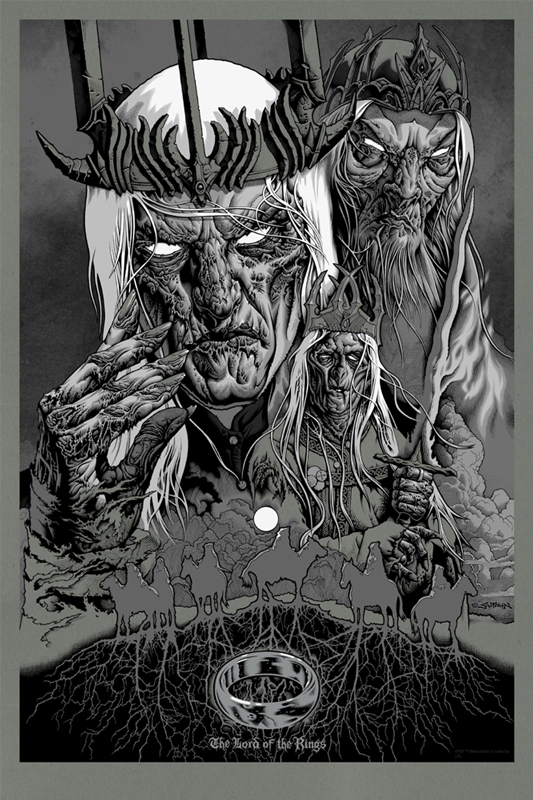 This entry was posted in Mondo, Movie Posters and tagged Lord of the Rings, Mike Sutfin, Paolo Rivera, Precious Cargo, Servants of Sauron by admin. Bookmark the permalink.